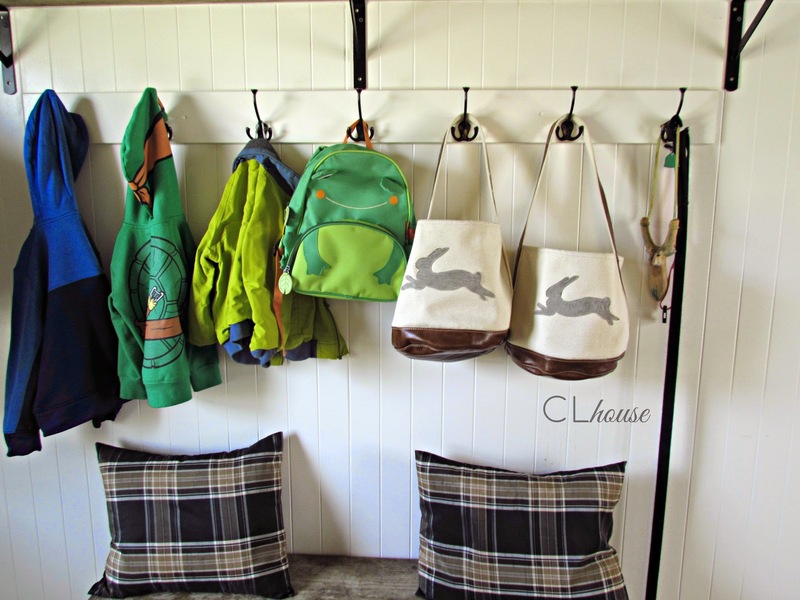 If there is one room in my house besides our bathroom that I can't live without it would be our mudroom. Living in Iowa, winters are brutal and snow comes more often than some of us would like. I love having a whole room to drop everything, instead of a little mat at the door. As much as I love this room and all it's uses during the winter months, I love when spring comes, life overall gets lighter. We've done so much to this little space. 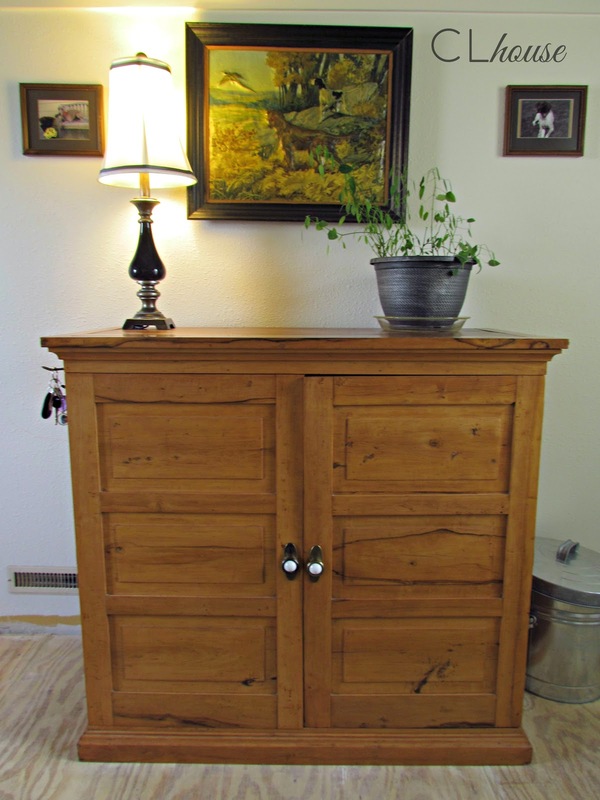 I so wanted to show a completely finished room, but after almost 2 years I gave up and had to give you a peek. Overall we painted, wallpapered, put paneling up, tore out the tile, trimmed around the wallpaper, put lots of hooks up, made a coat rack out of pipe and added decorative touches. I know that's against some peoples rules to decorate before a room is completely done. but I've found putting some inspiration in the room is helping me decided on bigger decisions like the floor. My latest color crush has been hunter green. 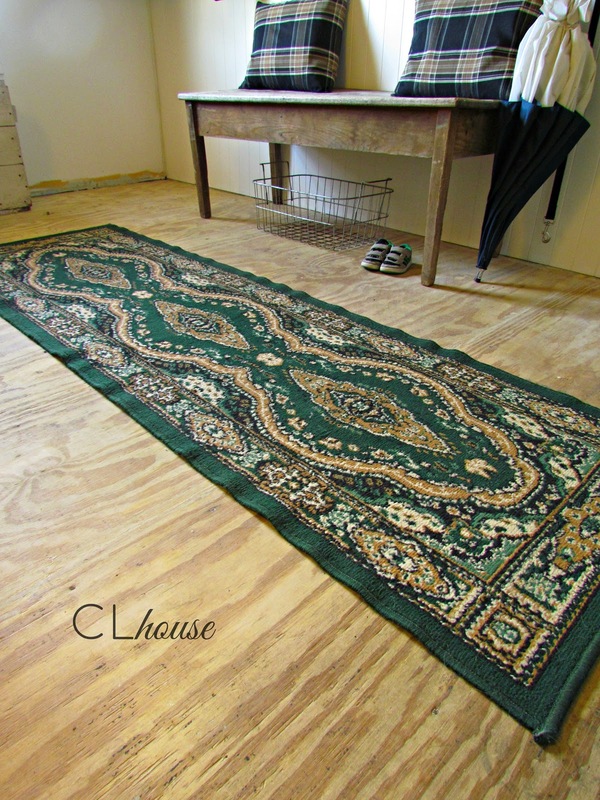 So when I found this rug I had to get it, I wasn't certain it would work but for $3 bucks I was sold! I have a tile design in mind for this floor. I'm thinking about painting it instead of actually tiling it. Overall I think it practically keeps the floor warmer and it's something I've always wanted to do and what a perfect space to give it a shot! I've started a dog gallery wall. I don't know anything more welcoming than a dog. 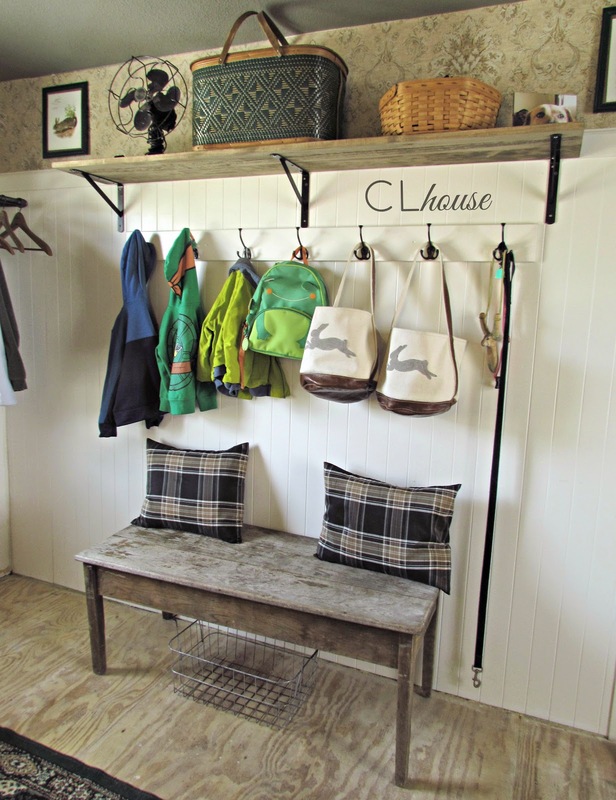 Our mudroom is a perfect place to display our 4 legged friends we love. It's been a slow process but one I've enjoyed. I hope to get started on the floor soon before it gets too hot. I'll be showing little peeks of my process on Instagram.